Dramatically reduce intake restrictions and get an impressive improvement in power throughout the entire RPM range with the Mazda3 SkyActiv Short Ram Intake. The SRI is a staple part for increasing your Mazda3's performance. Velocity Stack Design: Smooths the incoming airflow and increases the flow rate of air and reduces turbulence. It will take you one hour to install the CorkSport Mazda3 Short Ram intake with our easy-to-use instructions. I purchased the short Ram Intake and was extremely impressed with the quality of the product as well as the ease of install. I also appreciated the power increase it provided to my 2.5L. I've had the Sri installed on my 2015 sp25 along with the cold air box for a couple of weeks now and I am very impressed, I have noticeable gains in both throttle response and fuel efficiency. I'll be installing the cat back exhaust system shortly to go along with this install. I did have an issue with the cold air box vibrating against the ecu mount due to it being larger than the oem air box which left very little clearance between the two however this was overcome by applying a thick piece of neoprene rubber between the air box and ecu mount. All in all I'd highly recommend anyone with a 2014+ 3 to go ahead with the Sri / air box install you won't be disappointed. Luke from south Australia. I added the SRI with the Cold Air Box on a 2016 2.5L Mazda 3 sGT with about 7K miles on it. From collecting the tools through install, test drive and checking tightness, cleaning up, etc., the whole thing took about 90 minutes - at a leisurely and careful pace. I'm pretty handy but I would not consider myself a wildly experienced car wrench - this was an easy install and the instructions are fantastic. Great place to start on transforming your ride. Results? Awesome. I noticed a bit quicker throttle response in both regular and sport mode, and the sound is wonderful. It adds a nice, just slightly uncivilized growl to the engine that comes out especially well under hard acceleration. Even when you punch the throttle going around corners just around town it gives a nice round purr from 2,000-3,000 RPM that reminds me a bit of a classic MG or old-school Triumph - not ricey in the least. It adds a satisfying, appropriately sporty-sounding quality to the engine that matches its zippy performance. Quiet at freeway speeds or just cruising. Can't wait to add the axle-back exhaust next. I just installed this SRI while I was on vacation, then drove it over 500 miles back home. The quality is fantastic and I love the product. The sound is great, and I picked up several MPG since installing it. I can't wait to get the new cold air box! You guys are the best! Poorly designed and tested. Saw a massive drop in fuel economy with no real performance increase. Not worth the cost. It does sound nice though. Look at the K&N version instead, a heat shield is a must which is missing from this one. Very happy and satisfied with this product as well as overall experience. Fit and finish is clean and is accompanied with concise instructions. Throttle response feels improved and sounds great when opened up. Customer service was top notch. Will be purchasing a few things from you guys again soon! You can hear a slight difference in the "roar" lol of the engine but not worth a penny in regards to added power. You will get what you pay for with this product and more. I am very happy with my purchase. It gives my mazda 3 a very nice sound and has been increasing my mpg ever since I installed it. 10/10 would buy this again. Easiest, least-expensive legitimate bolt-on HP & torque available. The roar is immediately noticeable both inside and out of the cabin. The giggle factor per dollar ratio is very high with this mod. Very easy install with the detailed directions CorkSport provides (took 45 mins at a leisure pace). Great growl sound under the hood and a slightly noticeable boost in HP and torque. Even better with the sport mode on! Corksport, does this intake also increase torque? Or strictly Hp? Took me all of 15 minuets to get it on. I love the growl it has around 2000rpm range and when it is in sport mode it's much more pronounced. Honestly this is the first time I put an intake on that I really felt a differance instead of just hearing it. Wow this new CS SRI is really amazing! My GT sedan feels more alive now and the sound is freakin awesome! Now if we could get the CBE/Axelback for the sedan I'd truly be a happy customer. Finally installed mine tonight... this thing made me so wet! In all honesty, the power difference is quite incredible and it only took me an hour to install. The easiest install I've done in some time. Will this beautiful bohemith fit with that fmic of yours? I am in need of a new intake now, and why get anything other than Corksport? All I want to know is how long it will take to get it in white silicone? Does this product fit in the OEM cold air box? What is the filter surface difference between this product and the OEM flat filter? Do I need to tune the car after installing this intake? In regards to cleaning the filter is there a solution or technique recommended? And also how often would the filter need to be replaced? K&N Dry flow filter cleaner or you can use mild degreaser cleaner in a bucket to help remove the grime. Let it air dry for several hours before putting it back on the car. Why exactly wouldn't it work with the 2.0L? Will this and the cold air box fit a 2017 2.5? Why will this not work on a 2.0L? No it will not work work properly. 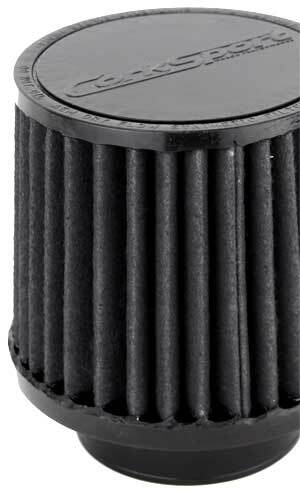 When the Corksport filter needs replacing, will it be okay to use a AEM or Oiled K&N cone filter as a replacement? You can, but we dont like oiled filters. It is more of chance that the MAF sensor gets gunked up. i got this on my car already, my question is, do you sell the air filter alone? Yes we do. You would need to call us at 360-260-2675 so we can manually set that up for you. Will this fit 2010 Mazda 3 2.5l? Since this will seemingly alter the engine air intake...will it also cause the dash engine light to come on ? The MAF is sized the same as the OEM so there is no check engine light from a fuel trim difference. Is this intake ALWAYS louder than stock or is it only while under moderate to heavy acceleration? I want to be sure my car isn't going to have a constant drone if I install it. Under startup you will hear the intake as the engine goes through its emissions startup for a short period of time. Once that is done it will be louder under acceleration and should be fine while cruising or idling. Follow Up on the question above: "Legal In CA" After Viewing the K&N site, they have a long list of states which do not allow these types of intake system.. The question above should have been rephrased: "What states is this short/ram air into legal?" Again and I'm on your side.. but I see no point in selling these products if we can't use them..
K&N is covering their backside by stating they may not be legal in some states. The decision to install one is up to the end user. You may need to install your stock intake back in the car if you go to an emissions test that does visual inspections. 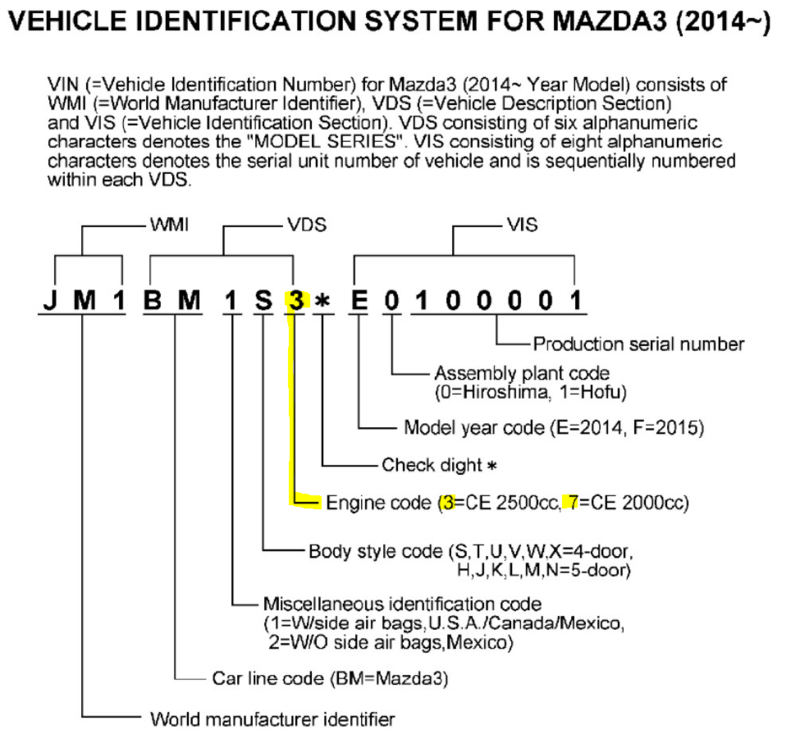 Will this void the Mazda powertrain warranty? 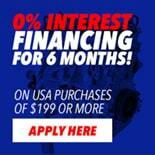 Will this fit the Mazda 3 2014 Grand Touring Hatchback with SkyActiv? This fits the 2014 Skyactiv GT Hatchback that is 2.5L, not the 2.0L. Hello Corksport, after installing this intake... does it require periodic washing/cleaning/replacing? If so, how frequently? and how do we go about doing this? The filter should probably be cleaned/washed every 6 months or so. Depending on how much you drive. Do not oil the filter, simply wash it with water and a cleaning solution. Does this SRI offer an increase in torque as well? It is not California legal, no CARB or EO approval. Is there any effect on MPG better or worse? It should not affect gas mileage for better or worse unless you change your driving habits.